More than 135 years of Strobel Quarzsand. A long tradition. 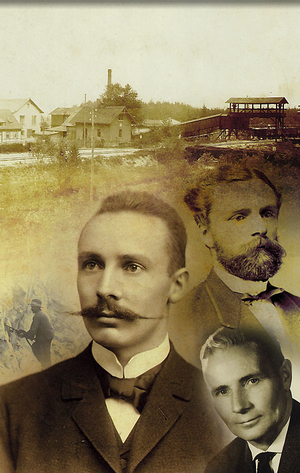 From 1876 to the present day to the present, four generations of the Strobel family have led the silica sand plant with foresight, determination and great success. The founder Johann Jeremias Strobel (1840-1909) laid the foundation for the start of the production of industrial sands in Freihung by agreeing a mining contract with the Royal Bavarian Forestry Administration on September 9, 1876. On the turn of the 20th century, his son Johann Woldemar Strobel (1874-1952) put in place the conditions required for the industrial production process. Johann Strobel (1916 – 2002) took over the company in 1952. Under his stewardship production increased considerably. In addition, he introduced fire-drying of the processed silica sands and developed today's extraction sites in Gebenbach and Großschönbrunn area. For developing, optimising and monitoring our foundry products, we have an application laboratory which allows examination of both nuclear parameters and moulding material parameters. Enhancing investments and embracing innovation ensures that we are able to master any future challenges. Highly willing to continuously invest in the future of the company, all generations in the long history of our firm have created the bedrock for successful development over the years. The growing number of application fields for silica sand, our mineral deposits with a secure long-term future, and the high quality of our products give us reason for an optimistic view of the future. With new ideas, implemented by dedicated and highly skilled employees, we continue successfully to meet the desires of our customers. In this way we want to safeguard the long term success of the company, maintain jobs and create new ones.